Cookie Season is upon us yet again, and I don’t know about you, but I’m more pumped than ever! Pre-orders run until Monday, January 25th. They will be delivered on February 13th, and Site Sales run through March 14. There are customers waiting for you, all you have to do is ask! Just remember to always have a buddy and an adult with you when you go door to door. 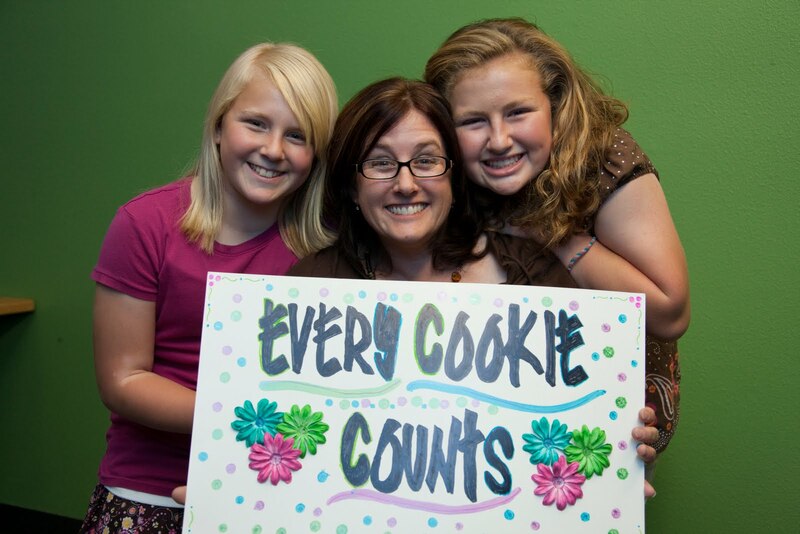 Set a goal, either for yourself or with your troop. If you reach that goal, set another one!! Good luck, and happy cookie selling!! OMG!! I am in that picture I am one of the daughters with my mom and sister. This is amazing!! I am so excited!! I can't wait to tell them. Where did you find this picture? I am in it and want to know where you got it. Thank you.